Whether natural gas, or liquid propane, we NEVER suggest a gas line project as a DIY project. If you smell gas in your home, do not hesitate, get out and dial 911. Gas lines should ONLY be installed by professionals properly licensed by the state. Investing in us to design and run your gas line gives you just that. Our master gas fitters go above and beyond to give you great service, explaining what needs to be done, and offering suggestions which you may not have thought of. Regardless of the size and scope of the gas line needed, or the many types of different gas line systems, we have done them all. Gas piping can be an integral part of your home’s plumbing and heating system. Proper sizing to what is being serviced is an important part to keep your natural or LP gas appliances running efficiently and smoothly to avoid trouble down the road. 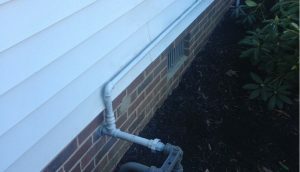 It is not always as simple as just adding a branch gas line to an existing system. Solutions Mechanical & Plumbing looks at your entire gas system, to make sure everything is up to code, safe, and sized properly. Natural and LP gas is a popular option for many appliances in your home or commercial property. It is used for multiple heating applications including furnaces, boilers, space heaters or pool heaters, or household applications such as stoves, ovens, water heaters and clothes dryers. It is also becoming more frequent to run gas piping for emergency applications such as generators, or even ambiance and social functions such as gas fireplaces, fire pits, gas grills and even outdoor gas lighting. Whatever your project, whether you need a new gas line designed, or old gas piping tested and repaired, you can trust us to keep your property safe and functioning properly. Give us a call today to start designing your gas system.